Scalable resources to identify and manage successfully. GeniSys creates solutions to the challenges of designing and running a modern medical facility. Their role is to help healthcare executives cut through the clutter to find real-world solutions when it comes to designing new facilities, meeting state and federal guidelines, and managing data. 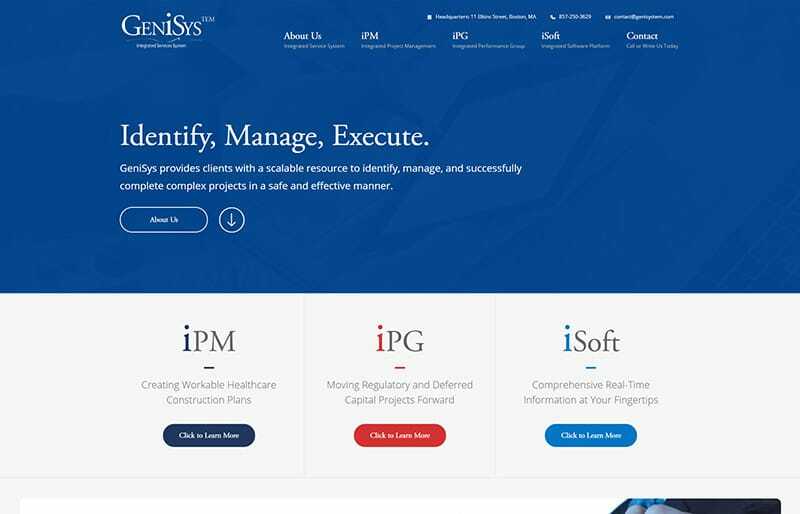 Currently, GeniSys services are grouped into three divisions: iPM (Creating Workable Healthcare Construction Plans), iPG (Integrated Performance Group), and iSoft (iSoft Data Management Suite). 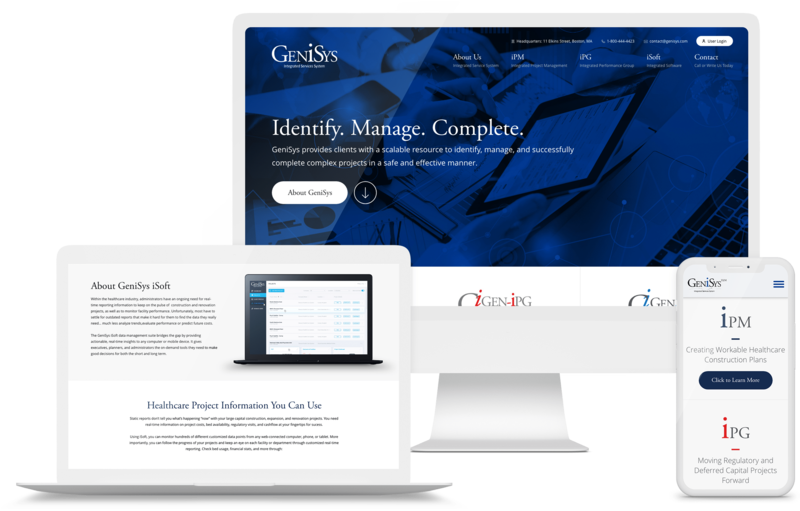 With a tight deadline in place, GoingClear Interactive completed the design and development of the new GeniSys website. The new website includes a custom left-hand fly out navigation, smooth page anchor scrolls, uniquely crafted pages for each client platform type, and a customizable Google Map that allows GeniSys to add or remove locations easily from the backend. 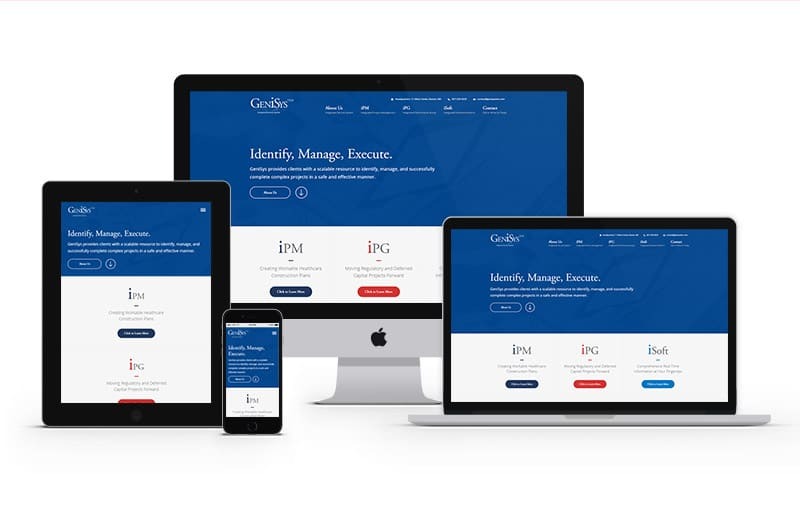 GCI copywriters worked with GeniSys to create new website content while the design team assisted with some logo touch-ups and a life-cycle graphic. GoingClear Interactive's efficient team processes got this site done successfully and on time!